While thinking about having red wine during pregnancy, you hesitate because a lot of people told you that you shouldn’t have any alcohol during this time. This is because alcohol exposure could lead to fetal alcohol syndrome. The babies affected by this syndrome have to deal with facial deformities, damages to the nervous system, poor growth and others. The bad news is that the damages of this kind are permanent and there is no treatment to cure them. This is why pregnant women shouldn’t have any alcohol. 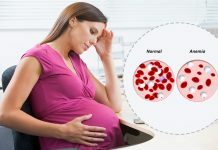 Nonetheless some of the studies show that the babies are affected by this syndrome only if women have a large quantity of alcohol all through the pregnancy. This means that moderate drinking shouldn’t cause any problems to the baby. The truth is that there is no evidence that drinking some red wine while being pregnant would harm the baby. Naturally if you have more than 2-3 glasses per week it could lead to mental and physical deformities forthe little one. While in America women are advised not to have any alcohol, in France it is said to be alright for women to have some red wine. This is because this helps them relax during the stressful months of pregnancy. Even more, there are some studies that found some benefits of drinking red wine. According to these studies the babies of mothers who have red wine during their pregnancy have fewer behavioral problems. The same thing is true for cognitive defects as well. In the same time these children had less emotional issues. Another study conducted in the field of drinking red wine when being pregnant showed that this could help with the development of children. These kids have higher scores on vocabulary tests and it is easier for them to recognize letters, shapes, colors and numbers at the age of 18 months. 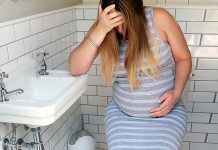 Previous articleHow to Handle Swelling during Pregnancy?